Postgraduate dental training has recently undergone a radical revision with the aim of providing a better career path for the general dental practitioner. New examinations have been established which will help bridge the gulf between undergraduate training and specialist examinations. Part of this revision has led to the integration of the basic sciences with clinical practice, which has created a need for new texts to cover the amended syllabus. 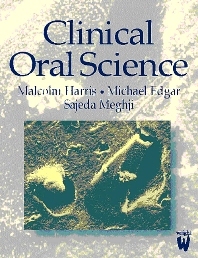 Cytokines and intercellular signals; Molecular genetics;Craniofacial development; Chromosomes, genes and oral cancer; Haemostasis; Wound healing; Bone remodelling; Muscle function; Dentogingival junction and periodontal ligament; Temporomandibular joint; Mastication and swallowing; Taste; Saliva; Micro-organisms and antimicrobial therapy; Dental Caries and Periodontal disease; Infective endocarditis; Oral infections in immunocompromised patients; Hypersensitivity and anaphylaxis; Autoimmunity; Cardiorespiratory arrest and post-resuscitation intensive care; Peripheral nerve damage and repair; Orofacial pain; Orofacial neuropathies.